Settled in Bangalore recently or on a long trip to Bangalore and you have already explored the city more or less and want to see some more in the places around it? Bangalore is one city that is surrounded by pristine destinations and this article talks about the top 10 weekend getaways from the city. Bangalore is one of the best places to visit and settle in. The climate is amazing all throughout the year, there are numerous places to visit and so much to do in the city. However the best part is that, there is so much to do and explore in the places around the city! A short Bangalore to Mysore train can kick off your expedition! Here is a list of the top 10 weekend getaway destinations from Bangalore. 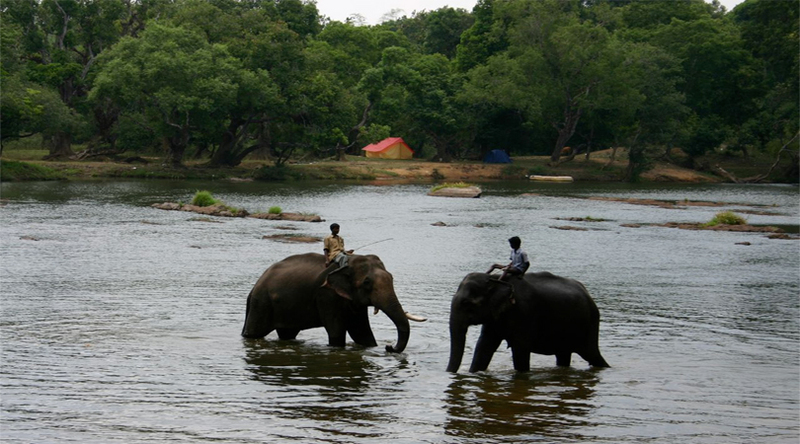 The easiest and the safest choice for a weekend getaway from Bangalore is the city of Mysore. Set at a distance of just 180 km from Bangalore, it takes just 2 and half hours by a Bangalore to Mysore train to reach, making it extremely accessible to reach. The city is a relaxing getaway dotted with ancient monuments, rich culture and different markets. One of the nearest places you can go to from Bangalore, the Bannerghatta National Park is set just 22 km away from the city of Bangalore and can be actually visited on a day itself. The park boasts of sheltering tigers, lions and also has a butterfly park and a biological reserve. Surrounded by lush greeneries and breathtaking landscapes, Ooty is one of the most sought after holiday destinations in the country. A trip to south India without paying a visit to Ooty is the biggest mistake one can make. Coorg is a hill station blessed with the best that nature can offer. From its coffee plantations to the various other orchards, to its waterfalls and the wildlife, Coorg is a complete treat for anyone seeking the company and sight of pristine natural beauty. If you are looking for a heritage visit from Bangalore rather than a hill station, than you ought to visit Kanchipuram. Some of the major temples that act as a pilgrimage to many Hindu devotees all over the world can be found in this city. The next best to Goa in terms of beach party destinations, Pondicherry is a heaven for those looking to have fun. Sea food is fresh, cheap and abundantly available while the booze is cheaper than anywhere else India as it is a Union Territory. The closest beach destination from Bangalore, the small port city of Mangalore is more like a small town of close knitted people. The streets and residential areas give out a warm homely small-town feeling and the food is out of this world! Set about 280 km from Bangalore, Chikmagalur is located in the foothills of the great Mullayanagiri range. The coffee plantations adds to the beauty of the place and makes for a relaxing getaway from Bangalore. Yercaud is another scenic getaway from Bangalore. Set about 230 km from Bangalore, the hill station offers a spectacular selection of flora and fauna with over 3000 trees and a huge array of wild creatures of both common and endangered species. Coonoor is an excellent place to visit if you are looking to have some adventurous fun ranging from trekking expeditions, rock climbings and many more. It is extremely close to Ooty and about 300 km from Bangalore. Although all the places mentioned above makes a great weekend getaway, if you have the time to visit only one place, your best bet will have to be Mysore. Mysore is incredibly accessible from Bangalore and you need not look for nearest railway station to Mysore like you will have to for the other destinations.